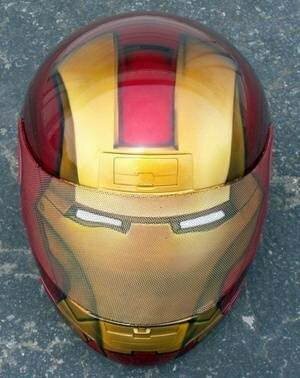 have been airbrushed with shiny metallic paint to feed your glossy Iron Man obsession. Giving up the luxury of staying dry in a car for the economical convenience of a motorbike doesn't mean you can't get soggy in style. With the rising cost of petroleum and gasoline, many people are turning to motorbikes as a fuel efficient locomotive during the current fuel crisis. Cars offer simple luxuries such as protection from the weather and adequate storage space. But if you're going to get rained on, snowed on and hailed on, you might as well get soggy in style. you can wear a leather suit reminiscent of an anorexic model? leather jacket and carries an organ donor card. 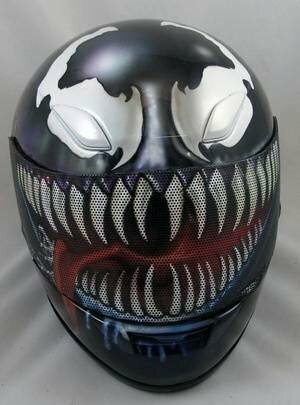 way that peering out from the abyss of Venom's mouth has never been easier. 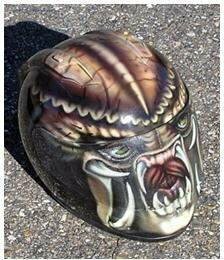 Halloween was every day, this Predator airbrush design is the one for you. have the right of way on the roads more often than not. 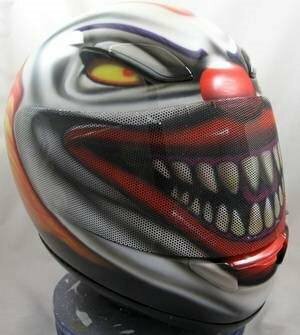 all the jollies of riding a motorbike. 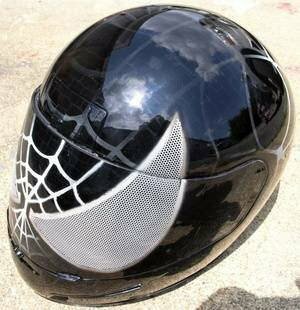 However, creating Sweet Tooth's flaming hairdo is left up to the biker. 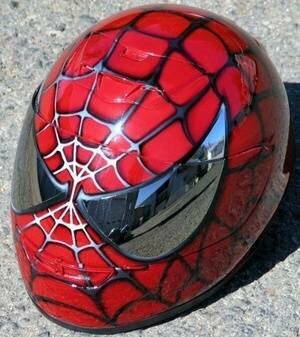 How do I get in touch with you to have my helmet painted with one of your designs?